In a long term intervention study, researchers from Dalian have shown that macrovascular complications of type 2 diabetes can be prevented through an intensive regimen of hypoglycaemic, antihypertensive and statin drugs. When used in combination with interventions to promote better diet and more activity, the drug regimens reduced macro vascular complications by two thirds, according to Professor Yang Yu of the Department of Endocrinology at the First Affiliated Hospital of Dalian Medical University. In a seven year study, Professor Yang and colleagues compared 'intensive' treatment with conventional treatment of type 2 diabetes in 150 patients at the hospital. Half the patients were assigned to the intensive group, and were treated with hypoglycaemic drugs, such as metformin, antihypertensives such as an ACE inhibitor, and lipid lowering drugs such as statins or a Chinese lipid-lowering herb complex called Xue-Zhi-Kang. Patients also received one on one sessions instructing them in diet and exercise. After seven years, subclinical macrovascular complications such as heart attacks, angina and stroke occurred in 10% (seven) of the intensive treatment group and in 33% (22) of the conventional group. 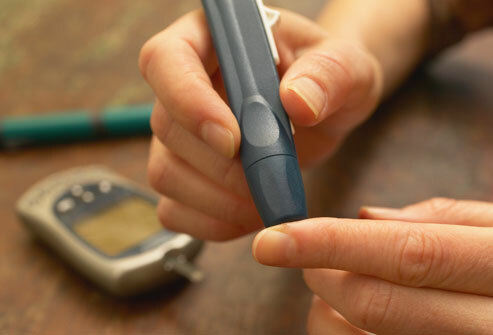 The researchers say their findings confirm those seen in the landmark UKPDS trial and show that "primary prevention of macrovascular diseases can be achieved through intensified, multifactorial intervention in patients with short-duration type 2 diabetes. should be administered to type 2 diabetic patients as soon as possible to provide the most benefits," they suggest. "Type 2 diabetic patients should undergo intensive multifactorial interventions with individual targets for the prevention of macrovascular diseases," they conclude.